We left with a completed sleeve, and the next obvious step would be side seams, but we’re going to do it a little bit differently for this pattern. Since the hem curve is so pronounced, especially on the tunic, it can be cumbersome and even impossible to do a double turned hem. 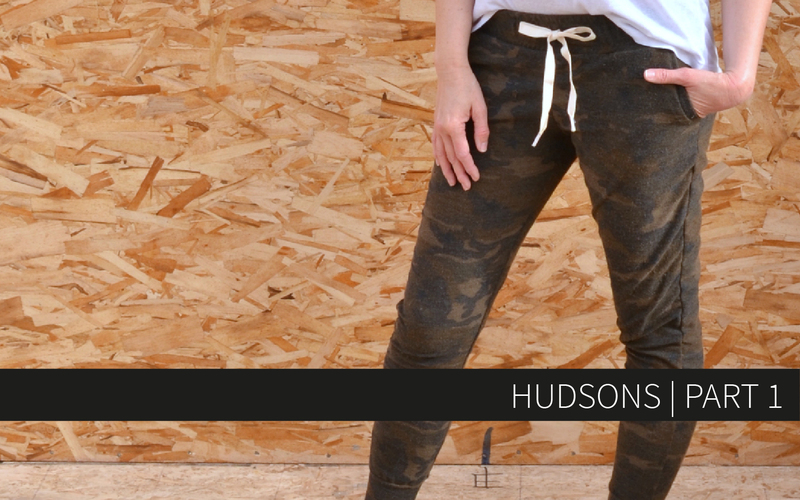 By sewing the front and back hems before sewing the side seam, we’re eliminating that tough side seam hem curve area. 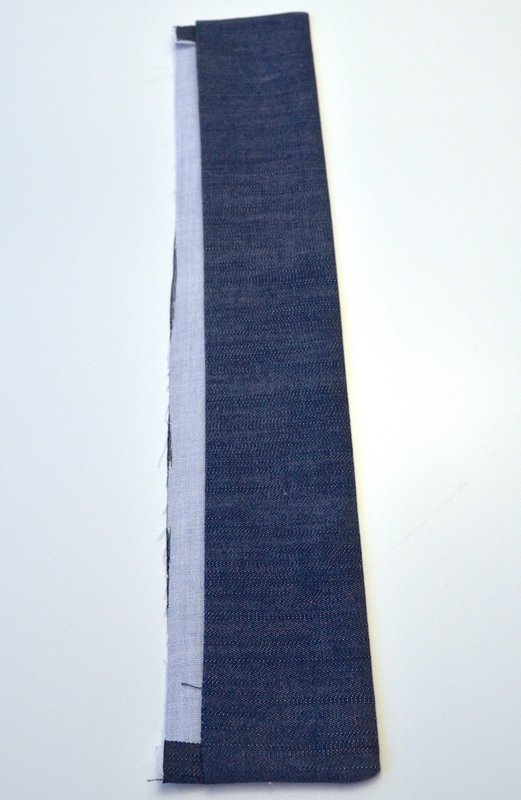 So, first fold the hem up by 1/4″ and press well. Then turn up another 1/4 and press again, inserting pins as you go. 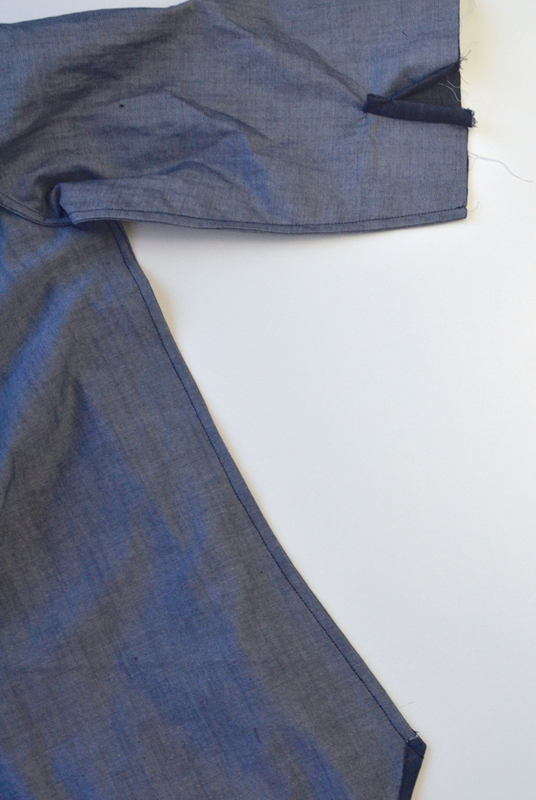 You’ll be creating a hem on the front and back (or fronts and back for View A). Edge stitch the hem in place along the fold. 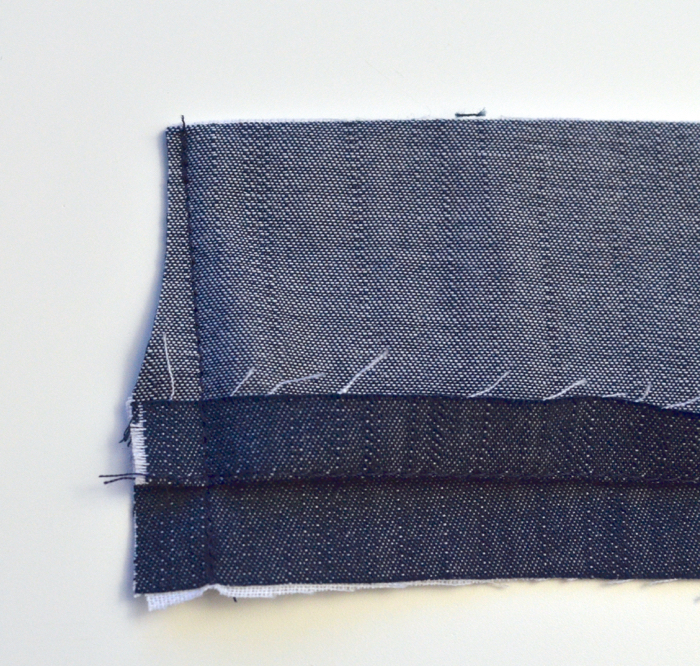 When you’re finished stitching, give your hem lots of steam and press it well to help it lay nicely. Now that the hems are finished we can move on to the side seams. Once again, we’ll be constructing French seams for the sleeve and side seam. 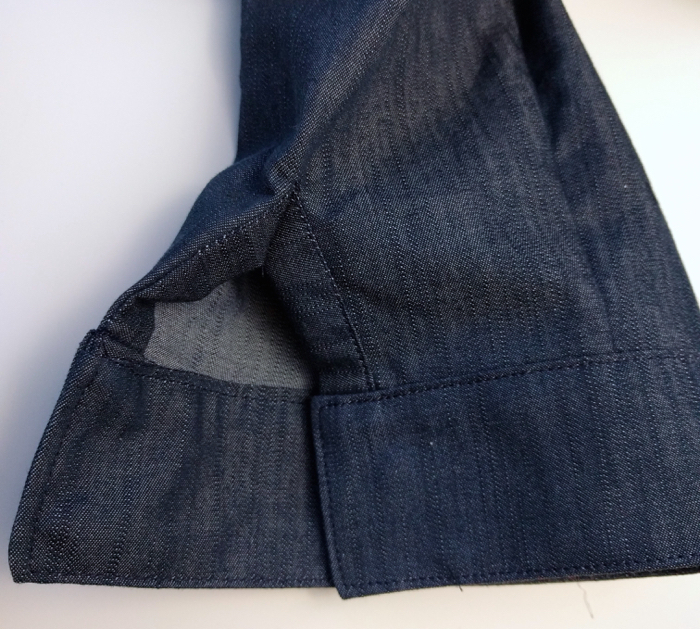 If you don’t want a French seam, sew the sleeves and shirt right sides together using a 5/8″ seam allowance. 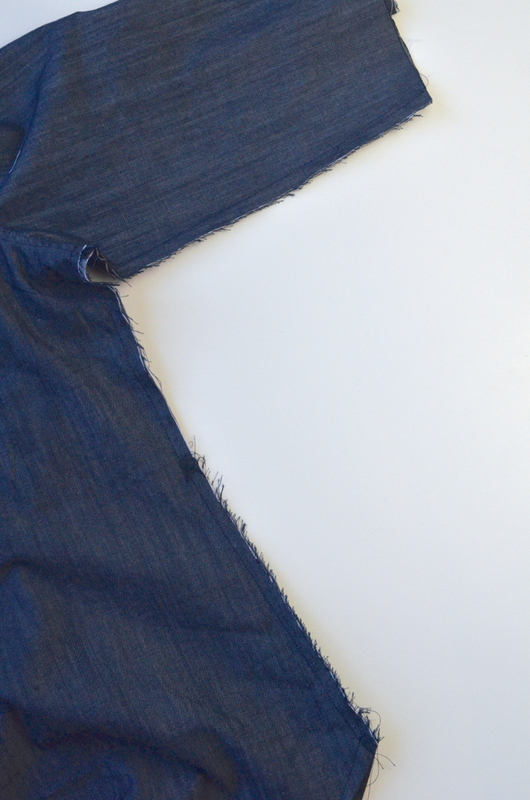 For the French seam, lay your shirt RIGHT side out and align the raw edges of your sleeve and side seam. 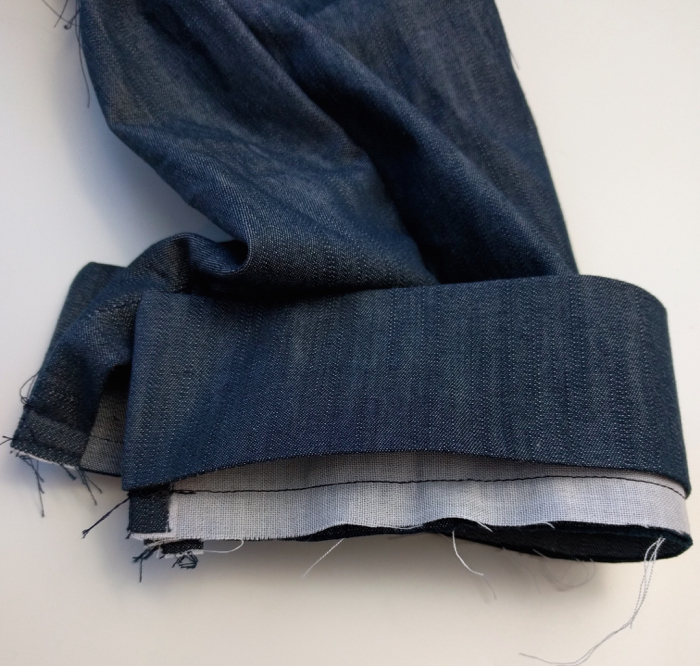 Starting at the wrist hem, sew toward the underarm using a 3/8″ seam allowance. 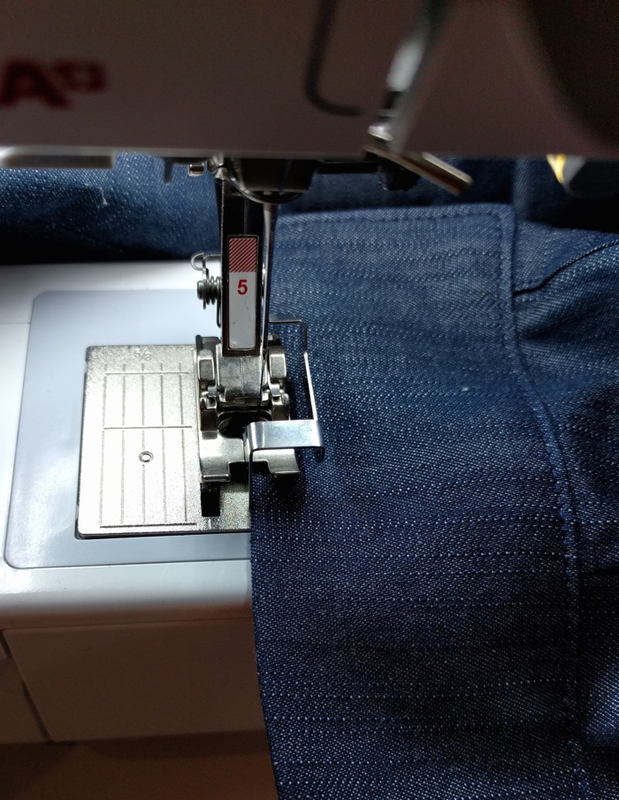 At the underarm, stop and pivot with the needle down to continue sewing down the side seam. 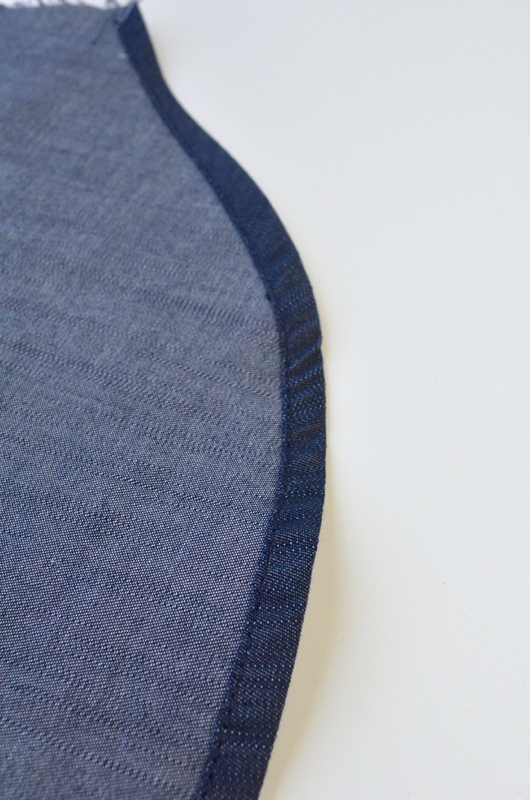 Just like the sleeve, trim this seam allowance to 1/8″. 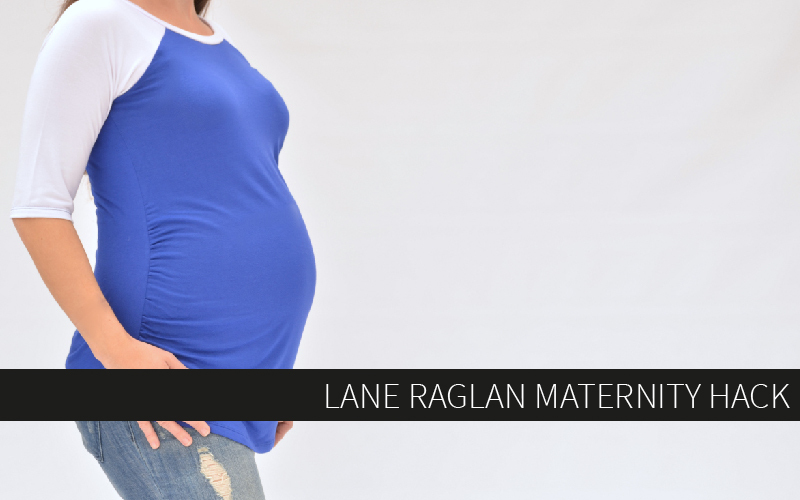 Flip your shirt inside out and press your seam well. Repeat that same stitch, starting at the wrist, using a 1/4″ seam allowance. Now all your interior seams are sewn and are completely enclosed! 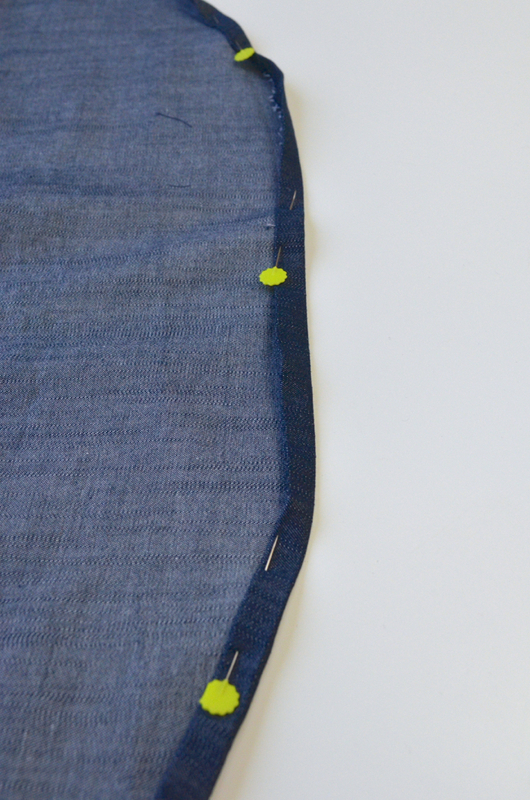 At the hem along the side seam, you may want to tack down the French seam to keep everything flat and neat. 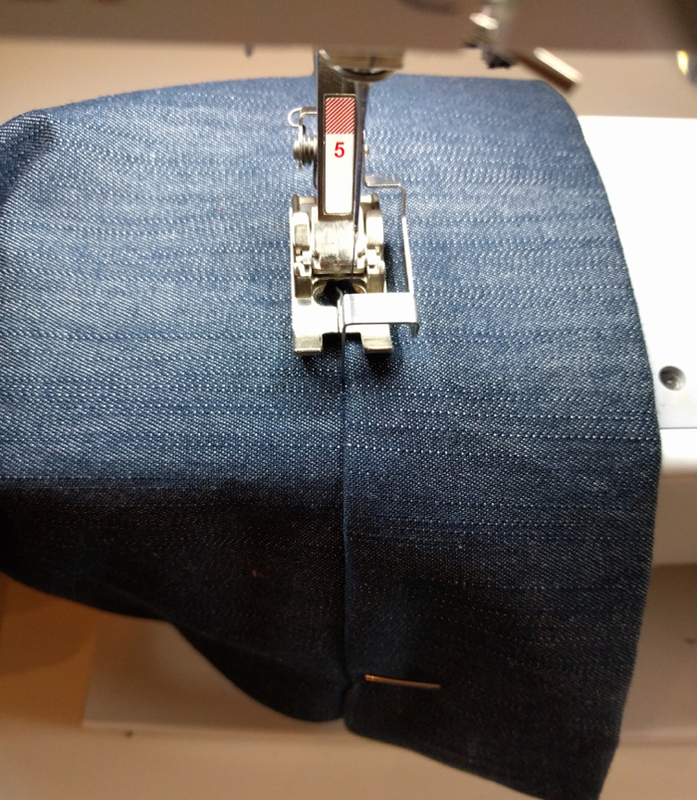 Press the french seam toward the back and sew a short vertical tacking stitch on the right side of the back of the shirt, catching the French seam on the inside. Now onto the last step – the cuffs! 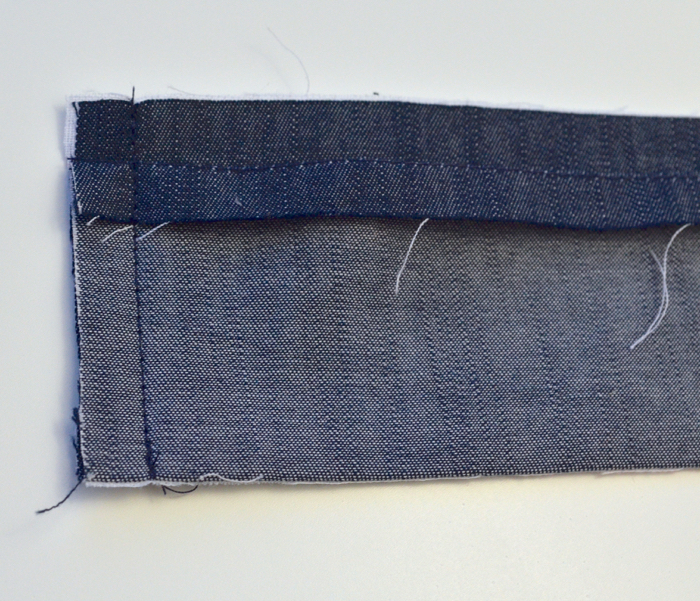 Sew a basting stitch across the upper portion of the non-interfaced edge using a 3/8″ seam allowance. Press the cuff to the wrong side along the basting stitch. Fold the cuff along the fold line marked on the pattern right sides together (the fold line is also where the edge of the interfacing is). 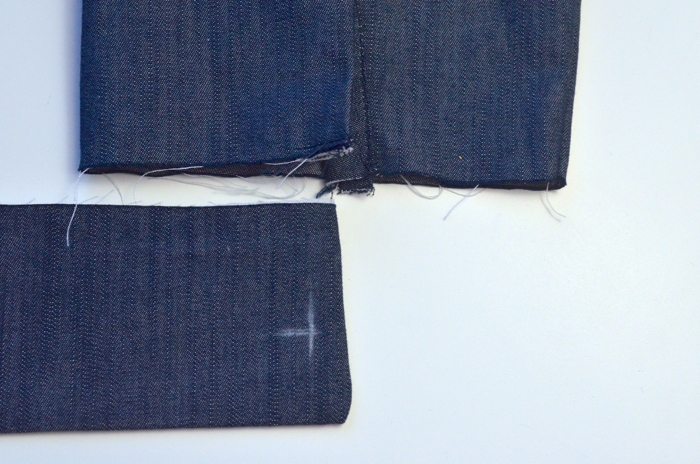 Sew the short ends right sides together using a 3/8″ seam allowance, maintaining the original fold. 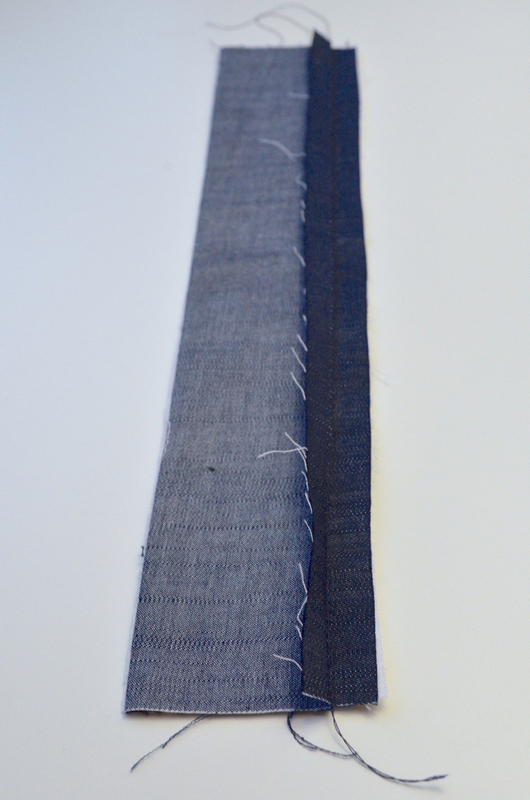 Trim the corners and then flip the cuff right sides out, pushing out the corners and pressing well. Your turned-out cuffs should look like this now. The interfaced portion will be the cuff, the non-interfaced part will be the cuff facing. Because the cuffs are mirror images of one another, lay out your sleeves and cuffs to make sure you’re attaching the correct ones. 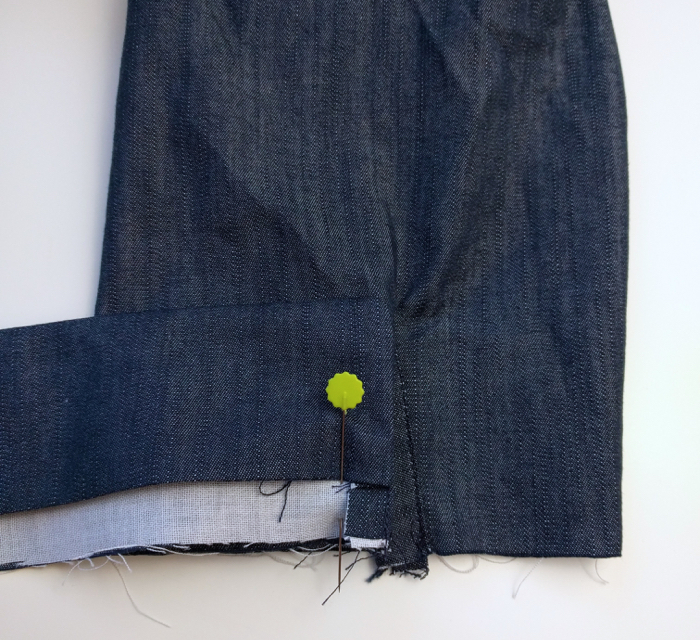 The cuff with the button hole on the right side will go on the left sleeve (as pictured here). As you can see, the button hole will be below the overlap on the sleeve binding. 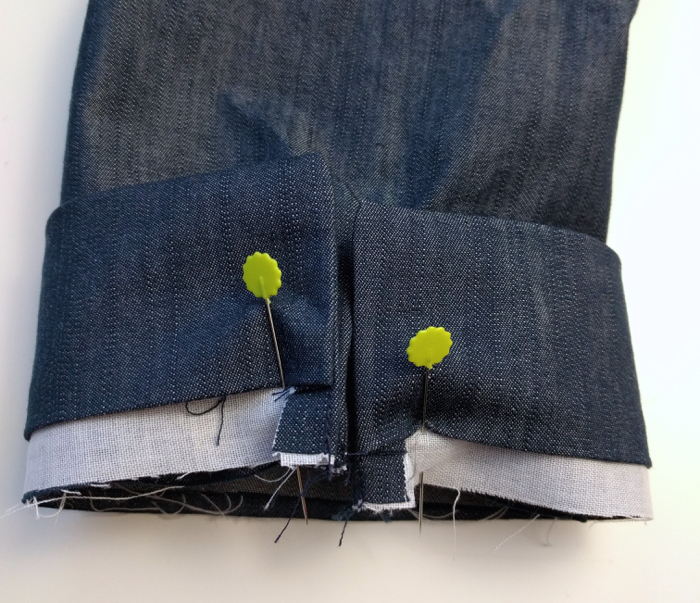 Pin the cuffed and the sleeve right sides together, aligning the edge of the cuff with the edge of the overlap area of the sleeve binding. Bring the cuff around the sleeve and pin the other side. Put a few more pins around the cuff, easing it in if anything stretched out while handling. 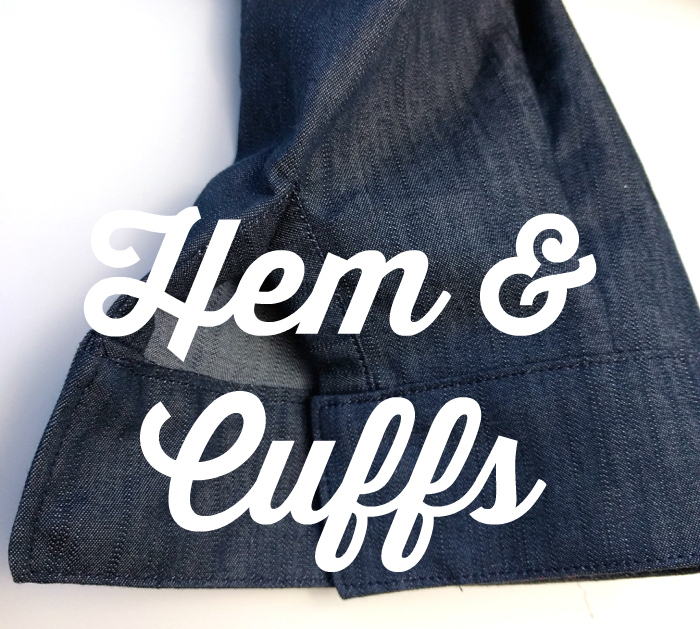 Sew the cuff to the shirt using a 3/8″ seam allowance. 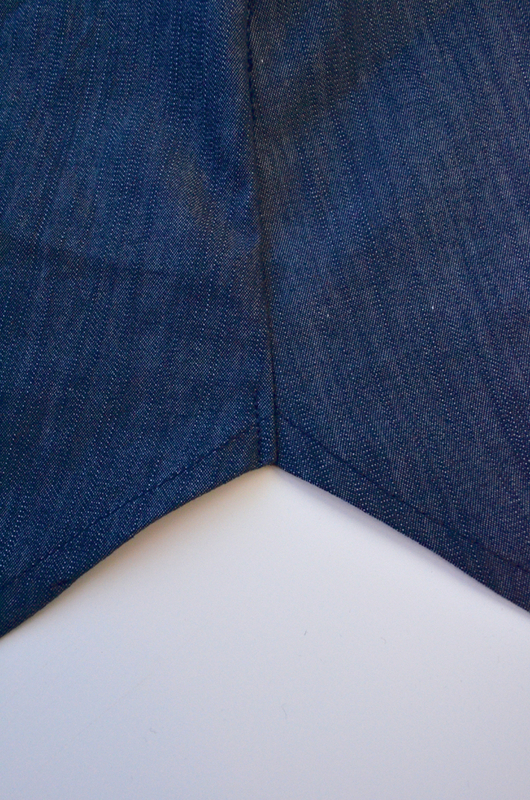 Do NOT catch the cuff facing in this seam. 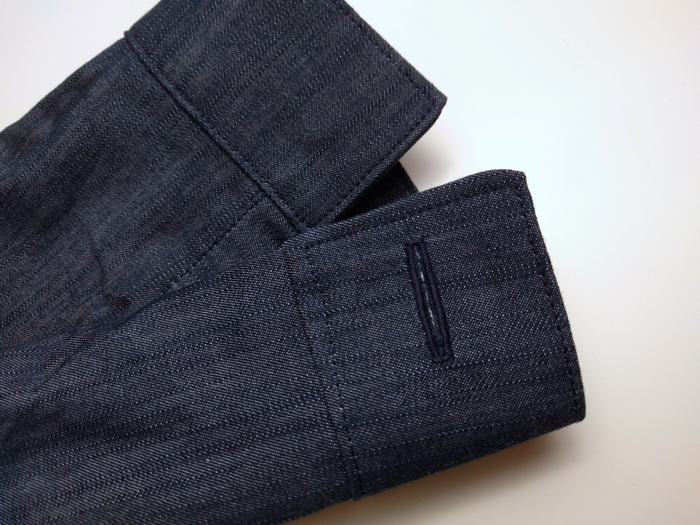 Flip the cuff down and push all seam allowances down into the cuff. Press well and pin to keep the cuff facing in place. On the right side of the cuff, top stitch around the entire perimeter, starting at the top center of the cuff. Sew toward the edge, then down and around the entire cuff until you reach the point where you began. Leave your needle down and pivot at each corner. Here’s that beautiful edge stitching foot in action one more time. As you can see, this time I’ve moved my needle over to the right because of the direction I was sewing. Now your entire cuffs should be edge stitched and the cuff facing should be caught on the inside. 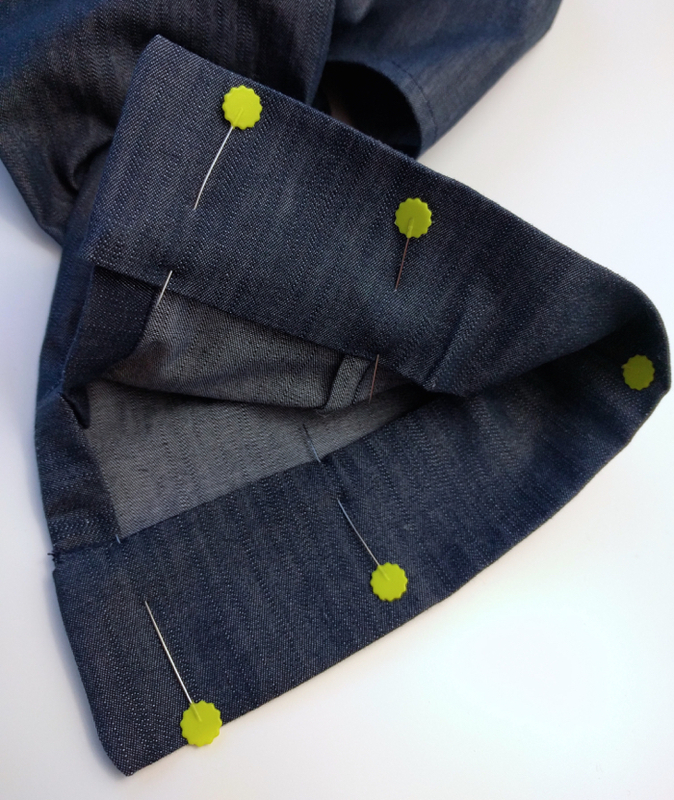 Sew the buttonholes into the cuff where marked. 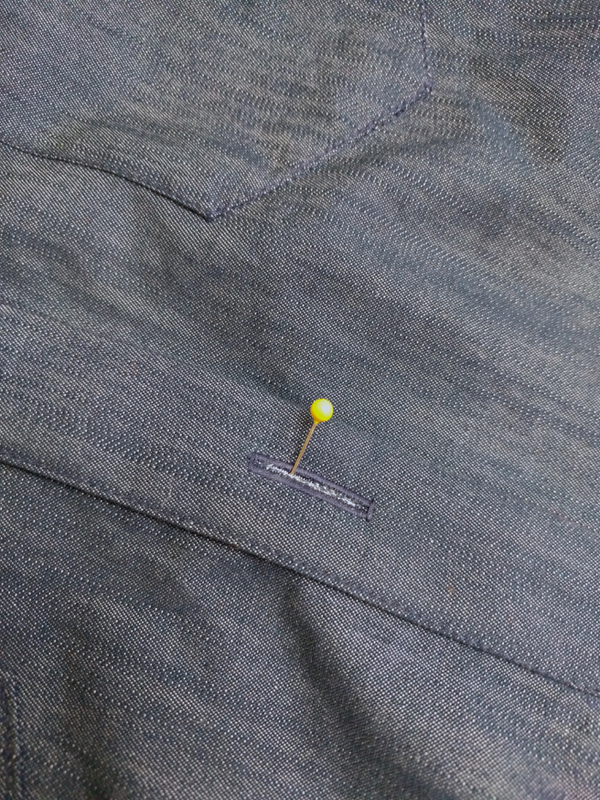 Use a pin to poke through the buttonhole and mark the location for your buttons on your cuffs and your front placket, if you didn’t already. Sew buttons where marked. If you’d like to make a View A or long sleeves, you can follow along with most of these steps, but come back tomorrow for some pictures of the trickier parts. Thank you so much for that tutorial! And for beautiful pattern . 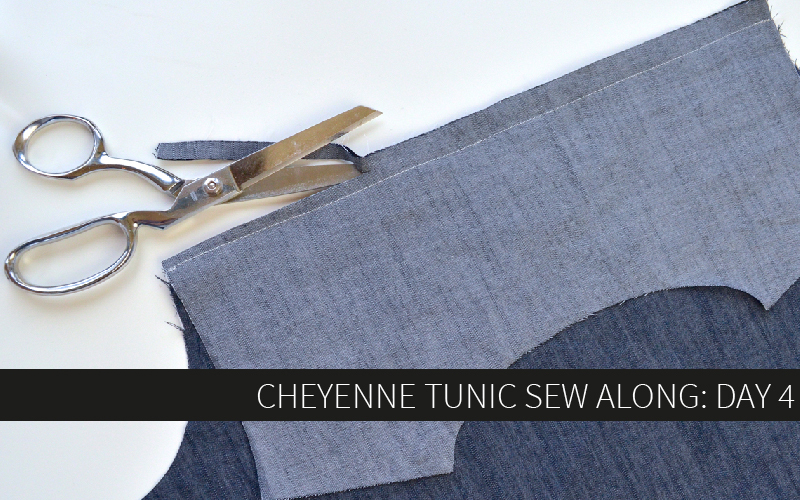 It was a pleasure to make Cheyenne Tunic and I hope to make another one soon. I have to confess that placket was easy peasy with your instructions but the collar was the hardest part. Anyway it’s now my favourite shirt!